Zimbabwe’s President Robert Mugabe on Saturday said he was not stepping down nor dying and that there was no one with his political stature who could immediately take over from him. The 93-year-old leader has been in charge in the former British colony since independence in 1980. His health is closely watched by Zimbabweans, who fear the country could face chaos if he dies without anointing a successor. He has travelled to Singapore three times this year for what officials say is routine medical treatment. “There is the issue that the president is going. I am not going,” Mugabe told supporters on the grounds of a local university, 100 km (60 miles) west of the capital Harare. “The president is dying. I am not dying. I will have an ailment here and there but bodywise, all my internal organs … very firm, very strong,” Mugabe said as he leant on the lectern. 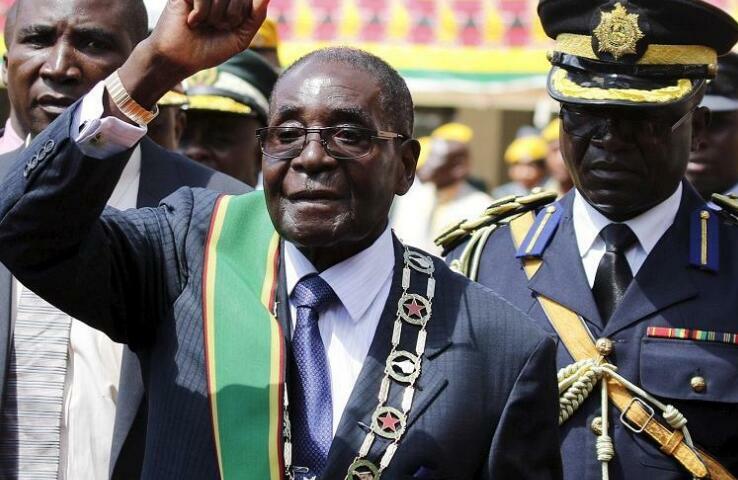 Mugabe, who looks frail, had walked onto the stage slowly but without assistance. The issue of who will succeed Mugabe has deeply divided the ruling party, with two factions supporting Vice President Emmerson Mnangagwa and Mugabe’s wife Grace. On Thursday, Grace challenged Mugabe to name his preferred successor, to end divisions over the future leadership of ZANU-PF. She repeated the call on Saturday, adding that Mugabe would lead the process to choose his eventual successor. Mugabe said although some party officials wanted to succeed him, he saw no one among his subordinates with his political clout to keep the party united and fend off a challenge from the main opposition Movement for Democratic Change. “A new man will not have the same stature and the same acceptance as I have managed to secure for the party over the years,” said Mugabe.